Valentine’s Day brings certain iconic gifts to mind. Flowers, heart-shaped boxes of chocolate, stuffed animals, greeting cards, and jewelry top the list of items purchased when mid-February rolls around. If your loved one is like most, they accept these with gratitude but secretly want something a little different, something they will enjoy, something that will make them feel warm and loved with every bite. 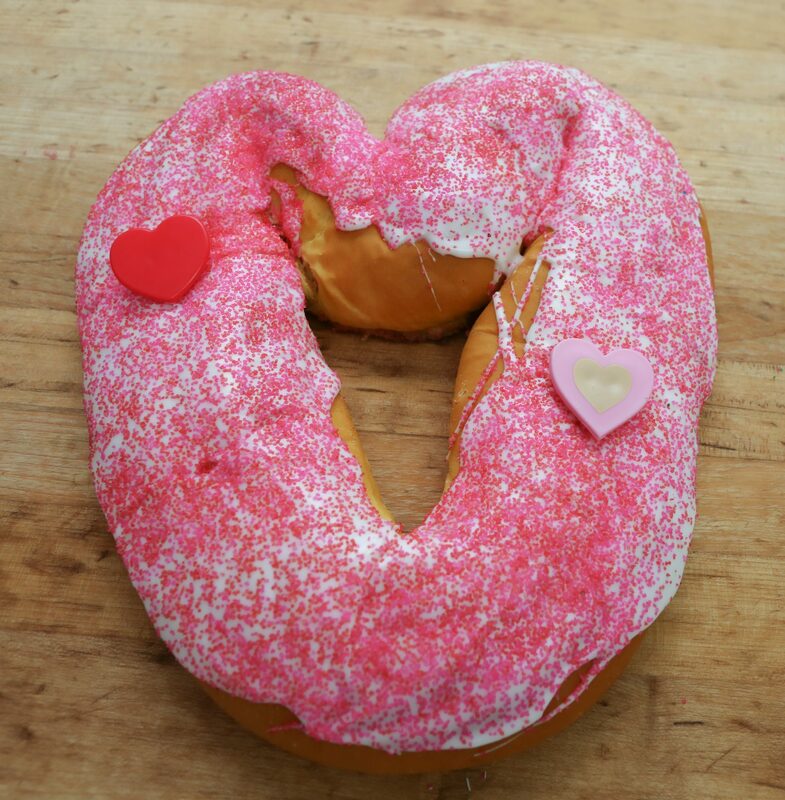 They want one of these new and inventive ways to show your love from Montgomery Bakehouse. What’s better than taking the country’s favorite cookie and turning it into a “cake”? 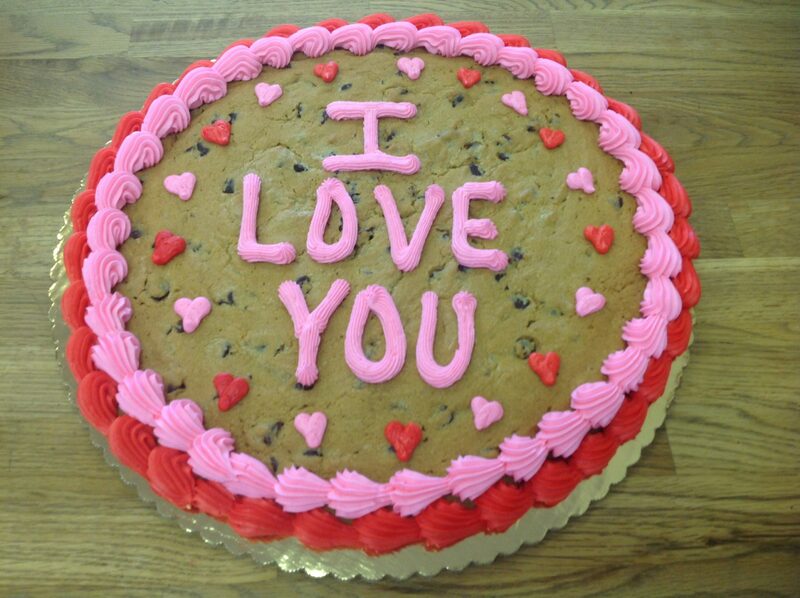 Our 9-inch chocolate chip cookie cake is cleverly decorated with red and pink icing and your special message to let your loved one know just how you feel. We know chocolate dipped strawberries are an iconic Valentine’s day gift (we have those too!) but why not enjoy the first seasonal berries in a delicious and not-too-sweet pie instead? 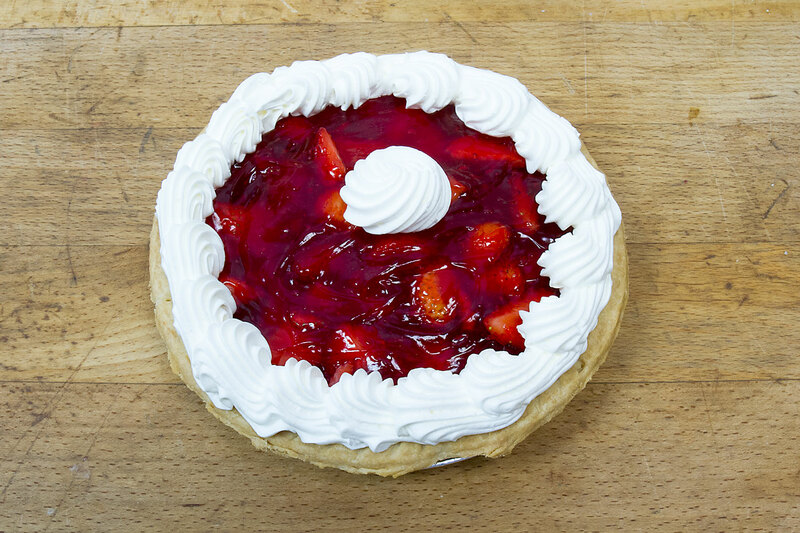 With a flaky, buttery crust and a whipped cream topping, our strawberry pie will be the perfect end to any Valentine’s meal. 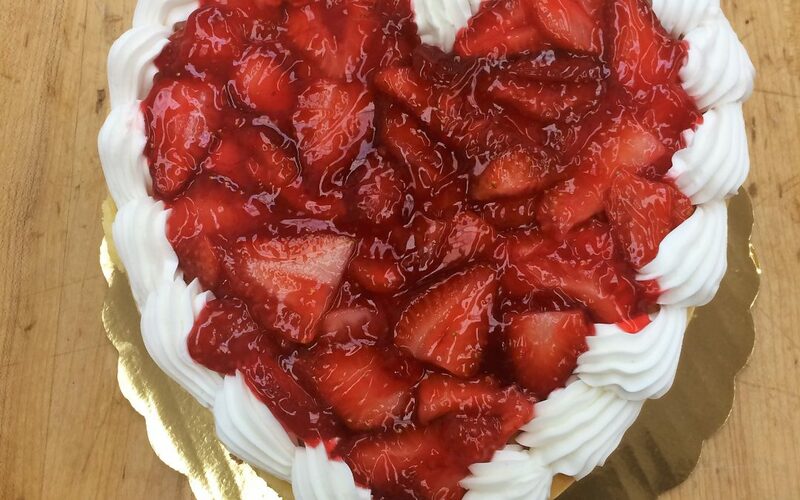 Our Valentine’s cheesecake is sure to get your heart beating a little faster. Heart-shaped and topped with glazed fresh strawberries and whipped cream, your sweetheart will go crazy over this sweet heart. At the beginning of a relationship or want to get something special for a friend? 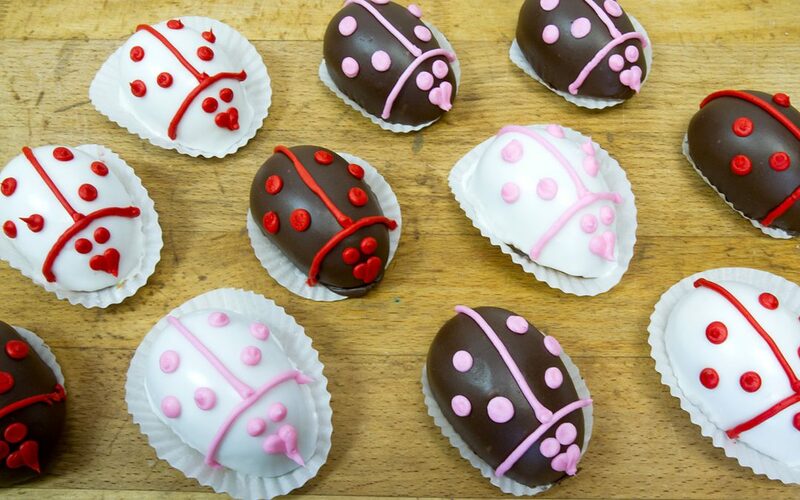 Our individual-sized Love Bug cakes are the perfect way to say, “I was thinking about you.” Covered in your choice of dark or white chocolate ganache and decorated with white, red or pink buttercream, these tasty cakes are as adorable as they are delicious. 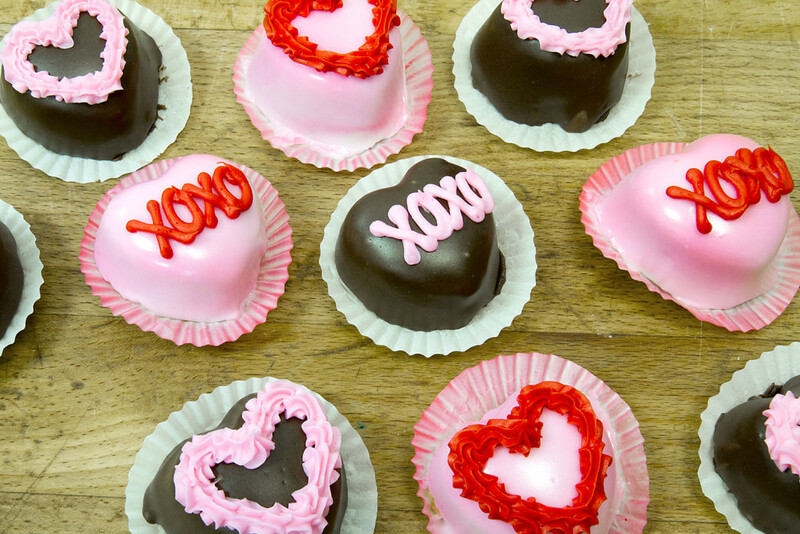 If you want something a little more upscale for your Valentine’s event, check out our selection of heart-shaped petit fours. Wait a second. King Cake for Valentine’s day? Think about it. Nothing says, “Let the good times roll” quite like this iconic Mardi Gras dessert. Its limited availability makes it even more special this time of year. Why not have your own Mardi Gras at home and commemorate the day of love with one of our delicious King Cakes? Valentine’s day is not about how you say “I love you” to the people you care for, it’s about taking time to express your love and appreciation for them. 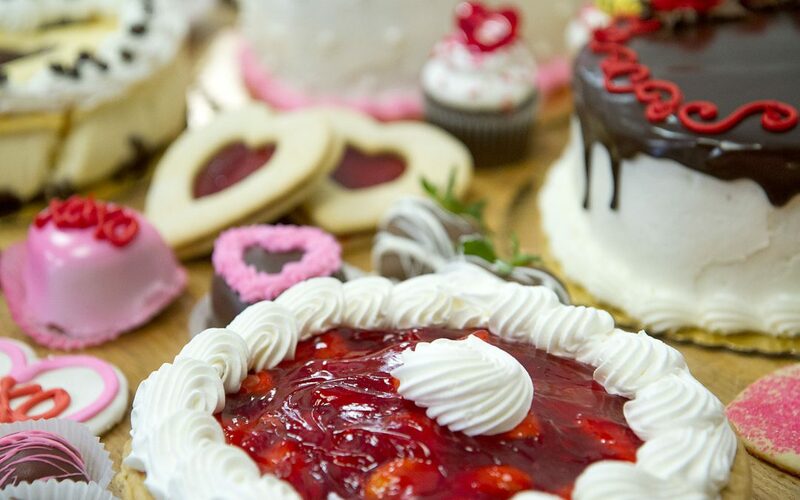 May your Valentine’s day be filled with love (and a little something sweet).